Just added a new link to our list of links in the far-right column: The Texas BBQ Forum ("Forums dedicated to barbecue and those who like to talk about BBQ."). This is the place to go to talk Texas BBQ/sauces/rubs/spices/marinades, Texas grilling, Texas BBQ competitions, and much, much more. It's quick, easy, and free. So, get your head in the game, and sign up! Get back in the car! These three spots are well worth the detour. At only 7 years old, Snow's is just a baby compared with the state's other seasoned barbecue spots, most of which have been open for more than half a century. But judging by the lines, Texas barbecue lovers—who tend to be a traditional bunch—have decided age doesn't matter when the food is this good. Started by former rodeo clown Kerry Bexley so that his teenage daughters could get some work experience—before they left for college, you'd find them there taking orders every Saturday—Snow's has won people over with its brisket, ribs, and pork steak. Pit master Tootsie Tomanetz, who is in her mid-70s, comes in at 2 a.m. to tend to the already-smoking meat (it cooks for a good eight to 10 hours before the place opens at 8 a.m.). Time your visit carefully: Snow's is open on Saturdays only, and as soon as the food sells out—usually around noon—the doors close. 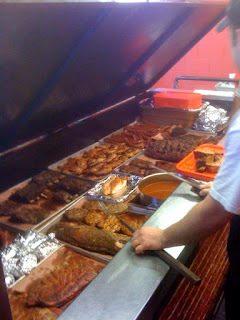 516 Main St., 979/773-4640, snowsbbq.com, entrées from $9. Favorite Man-Up memory: the time we went to Lockhart and went to Black's we got a tour; just stands out from the cutting table to the oak they age and to the pesky cat. Q (from Russell): How has the MUTB blog helped/affected your dating life? Wow! 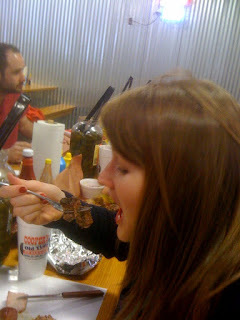 Well, if you find a girl that likes BBQ; it will def. help you! In my case you can say it helps the dating life. If you're looking for advice; I'd ask a girl to come man up w/ you! It's a social casual atmosphere that can lead to more dates! But make sure she likes BBQ!! I once took Gina to Lockhart and made a good date out of it; hitting up all the places and taking her to all 4 in town. That was a good trip! Marinades: flavor for your meat!! My favorite is soy sauce Korean BBQ baby!! Miss White: Vanna White - Wheel of fortune? Mr. Brown (A.K.A. - the brownest of the brown): TB? Pig pickin': is this where you can pick out a pig to BBQ??? Nice! Table sauce: maybe same Tabasco, Pete's hot sauce, Louisiana hot sauce, or homemade sriracha? 2. J-pa, have you found your inner-pirate? If so, how did you do so? I did once. I changed my Facebook page once to 'pirate language.' Arrrrrggggg. I'd like to wear an eye patch too. Later today, we'll roll out the first of hopefully many installments of a new blog feature called Meet Man Up. From time to time, we'll highlight a member of our group by posting a pic, having a friendly little Q&A, etc. First up is J-Pa, so stay tuned. 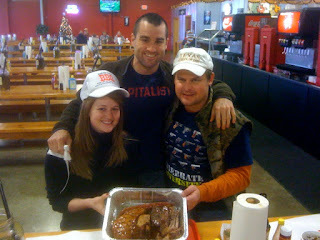 Before making our way to San Antonio for the Alamo Bowl, Brad and I hit up Texas Pride Barbecue in Adkins. 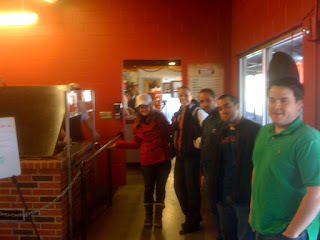 It was Man Up’s first visit to TPB and our first outing of 2010. 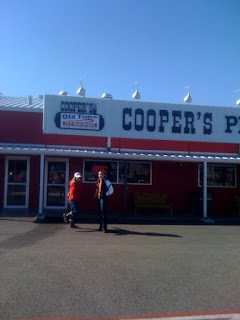 For the country setting and old-time-filling-station atmosphere alone, it was worth the trip. There is pretty much nothing nearby. Just a kitschy old country store, surrounded by nothing but beautiful country. If you’re a photographer (meaning, if you know how to take more pictures than just close-up shots of small pieces of meat between your thumb and middle finger), you should stop by and shoot for a while. Service was fantastic. The guys cutting the meats were quite amiable, and Tara was kind enough to give us the full tour, including showing us out back, where there are, well, lots of things going on. Huge area with picnic tables. Old-time, country décor and knick knacks. Would be a great place to throw a private party or hear some music. As for the food, the chicken was outstanding. Hot, moist, smoky. Didn’t need a bit of sauce. Didn’t need pickles or bread. Awesome by itself. 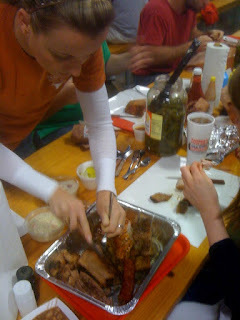 The turkey and brisket were fairly solid (I'd choose the brisket over the turkey, b/c the turkey was a tad too dry. 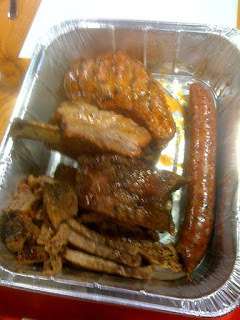 ), but I thought the pork ribs were the weak link. They were fall-off-the-bone baby backs, but, flavor wise, they were unspectacular. Definitely needed sauce. I liked all 4 sides we ordered. Overall, the food was in the 8 range, but the atmosphere and service bumped up the overall experience. The Travel Channel is planning a 30-minute show on the Smitty's-Kreuz family BBQ rivalry in Lockhart. 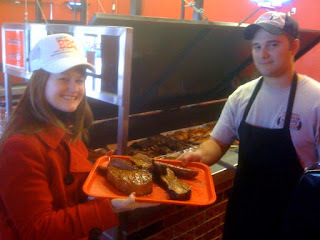 The episode isn't set to air until March or April; so, in the meantime, here are our posts on Smitty's and Kreuz. 3. Bring you the first installment of our new feature "Meet Man Up," &. So, don't go anywhere! Also, this is the last week to enter our Opie's giveaway. You have until the 31st to email us your entries, so don't miss out on the chance to win! I recently got word that the Dripping Springs location of Riley's Bar-B-Q (the only one we've visited) was sold and is no longer, well, a Riley's. I don't know if it's still operating as a BBQ joint (although I think it is) or, if so, what it's called; but I do know that, after a nice invitation from the folks at the original Riley's in Blanco to stop in for "a real experience," we'll be making a visit to the original sometime this year. The first shipment for our sauce contest arrived yesterday! Wouldn't you like to know whose it is??? Well, you'll just have to go to Gettin' Sauced! on Sunday, March 7, to find out. We've got about 30 joints/vendors entered in the contest (both bottled and fresh sauces), but there's still room for you, if you have some sauce you'd like to submit. The location and time of the event will be announced next week, when we unveil the event's official poster! Be the first to taste what's coming from Stubb's. We're conducting a taste-testing for our new sauce recipe, introducing the new sauces with sugar sweetening instead of corn syrup, and a gluten free product. Sign up, pick your preferred time slot, and come out to the taste testing Friday, Jan.29th in Austin at the Courtyard & Residence Inn. The length of each tasting will last 30 minutes, and following the tasting and after receiving your feedback, you will receive a $50 check. 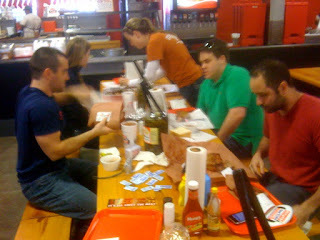 Mark your calendars, folks, b/c we want to see all of you in Austin for our first blind taste testing Texas BBQ sauces. Well over 20 sauces have entered the contest, thus far. Location (which is set) and time will be announced soon. The February issue of D Magazine is on newstands today, and it features an article by my buddy Daniel Vaughn (who runs Full Custom Gospel BBQ), on where to find the best BBQ in DFW. 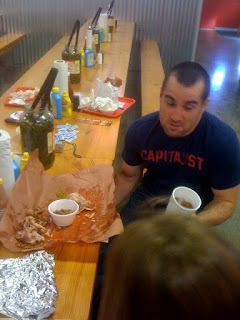 As I've said before, Daniel has been to more Texas BBQ joints than anyone I've ever heard of; and I think he's hit up every single joint in Dallas. 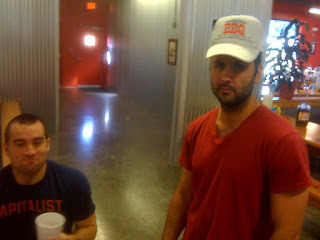 Last time Daniel was in Austin, we hit up a new BBQ joint together - stay tuned for our scores. In the meantime, pick up a copy of the magazine, or check out the online version of the story. Congrats, Daniel!